Good afternoon! It is my great pleasure to have all of you with us in the beautiful city of Xiamen, renowned as the “Egret Island”. The BRICS Summit will be held tomorrow. On behalf of the Chinese government and people and the people of Xiamen, and also in my own name, I warmly welcome all of you to the Business Forum. Xiamen has been a trading port since ancient times as well as a gateway of China’s opening up and external cooperation. Embracing the vast ocean, the city has hosted visitors from around the world. On a personal note, Xiamen is where I started off when I came to Fujian Province to take up a new post in 1985. Back then, being one of the earliest special economic zones in China, the city was at the forefront of China’s reform and opening up endeavor and was brimming with development opportunities. Three decades later, Xiamen has become well known for its innovation and entrepreneurship, with burgeoning new economic forms and new industries, robust trade and investment and easy access to the world with air, land and sea links. Today, Xiamen is a beautiful garden city with perfect harmony between man and nature. There is a popular saying here in southern Fujian, “Dedicate yourself and you will win,” which embodies an enterprising spirit. Xiamen’s success is a good example demonstrating the perseverance of the 1.3 billion-plus Chinese people. 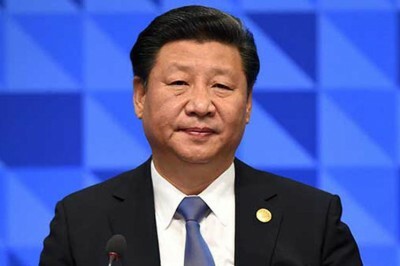 In close to 40 years of reform and opening up, under the leadership of the Communist Party of China, we Chinese have forged ahead, fearless and determined, and we have successfully embarked on a path of socialism with distinctive Chinese features. We have encountered difficulties and challenges on the way forward. But we have persevered and kept pace with the times. With dedication, courage and ingenuity, we are making great progress in pursuing development in today’s China. BRICS cooperation has now reached a crucial stage of development. In assessing its performance, it is important to bear two things in mind: the historical course of global development and evolving international landscape and the historical process of development of the BRICS countries, both individually and collectively, in the context of which BRICS cooperation is pursued. We are in a great era of development, transformation and adjustment. Although conflict and poverty are yet to be eliminated globally, the trend toward peace and development has grown ever stronger. Our world today is becoming increasingly multipolar; the economy has become globalized; there is growing cultural diversity; and the society has become digitized. The law of the jungle where the strong prey on the weak and the zero-sum game are rejected, and peace, development and win-win cooperation have become the shared aspiration of all peoples. Against such a backdrop, a large number of emerging market and developing countries have come to the fore, playing an ever greater role in international affairs. BRICS cooperation is a natural choice made by our five countries, as we all share a desire for peace and development. In the past decade, we BRICS countries have surged ahead and become a bright spot in the global economy. — The past decade has seen the BRICS countries making headway in pursuing common development. The sudden outbreak of the 2008 global financial crisis left the world economy reeling, which is yet to fully recover. Facing the external shock, our five countries have held the ground by strengthening the domestic economy, boosting growth and improving people’s livelihood. In the past ten years, our combined GDP has grown by 179%, trade by 94% and urban population by 28%. All this has contributed significantly to stabilizing the global economy and returning it to growth, and it has delivered tangible benefits to three billion and more people. — The past decade has seen the BRICS countries advancing results-oriented and mutually beneficial cooperation. Leveraging our respective strengths and converging interests, we have put in place a leaders-driven cooperation framework that covers wide-ranging areas and multiple levels. A number of cooperation projects have been launched that are in keeping with our five countries’ development strategies and meet the interests of our peoples. In particular, the New Development Bank and the Contingent Reserve Arrangement have provided financing support for infrastructure building and sustainable development of the BRICS countries, contributing to enhanced global economic governance and the building of an international financial safety net. — The past decade has seen the BRICS countries endeavoring to fulfill their international responsibility. Committed to multilateralism, fairness and justice, our five countries have staked out our positions on major regional and international issues and made our proposals to address them. We have promoted reform of global economic governance to increase the representation and say of emerging market and developing countries. As a champion of development, we have taken the lead in implementing the Millennium Development Goals and Sustainable Development Goals, and engaged in close dialogue and cooperation with other developing countries to pursue development through unity. As an old saying goes, the construction of a tall building starts with its foundation. We have laid the foundation and put in place the framework of BRICS cooperation. In reviewing the past progress of BRICS cooperation, I believe there are three important practices that should be carried forward. First, treating each other as equals and seeking common ground while shelving differences. In terms of BRICS cooperation, decisions are made through consultation among us all, not by one country alone. We respect each other’s path and model of development, accommodate each other’s concerns and work to enhance strategic communication and political mutual trust. Given differences in national conditions, history and culture, it is only natural that we may have some differences in pursuing our cooperation. However, with strong faith in cooperation and commitment to enhancing trust, we can achieve steady progress in our cooperation. Second, taking a results-oriented, innovative approach to make our cooperation benefit all. BRICS is not a talking shop, but a task force that gets things done. Our goal is to build a big market of trade and investment, promote smooth flow of currency and finance, improve connectivity of infrastructure and build close bond between the people. In pursuing this goal, our five countries are engaged in practical cooperation across the board, covering several dozen areas, including economy, trade, finance, science, technology, education, culture and health, thus giving concrete expression to the endeavor of building a new type of international relations featuring win-win cooperation. Third, developing ourselves to help others with the well-being of the world in our mind. Having gone through an arduous course of development, we BRICS countries share the agony of those people who are still caught in chaos and poverty. Since the very beginning, our five countries have been guided by the principle of dialogue without confrontation, partnership without alliance. We are committed to observing the purposes and principles of the UN Charter, international law and basic norms governing international relations in conducting state-to-state relations. When developing ourselves, we are ready to share development opportunities with other countries. The philosophy of BRICS cooperation has gained growing appreciation and endorsement, and it has become a positive energy in the international community. All this is what the BRICS spirit is about. It is the shared value that has bound us in the past decade’s cooperation. This spirit, constantly enriched over the years, has not only benefited our peoples but also enabled us to make a difference in the world. Reviewing past progress helps us forge ahead in the right direction. Currently, the global economy has resumed growth, with emerging market and developing countries delivering a strong performance. A new round of technological and industrial revolution is in the making, and reform and innovation are gaining momentum. We have enough reason to believe that our world will be a better place. On the other hand, more than 700 million people are still living in hunger; tens of millions of people are displaced and become refugees; so many people, including innocent children, are killed in conflicts. The global economy is still not healthy enough and remains in a period of adjustment featuring weak growth, and new growth drivers are yet to emerge. Economic globalization is facing more uncertainties. Emerging market and developing countries find themselves in a more complex external environment. The long road to global peace and development will not be a smooth one. Some people, seeing that emerging market and developing countries have experienced growth setbacks, assert that the BRICS countries are losing their luster. It is true that affected by complex internal and external environments, we BRICS countries have encountered headwinds of varying intensity. But the growth potential and trend of our countries remain unchanged, and we are fully confident about it. It is time to set sail when the tide rises. Going forward, we BRICS countries have a major task to accomplish, which is growing our economies and strengthening cooperation. We should build on past success, chart the course for future cooperation and embark on a new journey to jointly usher in the second “Golden Decade” of BRICS cooperation. First, we should boost BRICS cooperation to create new impetus for economic growth of our five countries. In recent years, thanks to our strengths in terms of commodities supply, cost of human resources and international market demand, our five countries have driven global growth. As our five economies continue to grow, however, issues concerning resources allocation and industrial structure have become more acute. At the same time, the global economic structure is going through profound changes, evidenced by shrinking global demand and rising financial risks. All this has posed challenges to the traditional strengths of the BRICS economies, taking us to a crucial stage where we must work harder to overcome difficulties. How should we get through this stage? Growth rate alone is not the answer. Instead, we should, on the basis of our current conditions and bearing in mind the long-term goal, advance structural reform and explore new growth drivers and development paths. We should seize the opportunity presented by the new industrial revolution to promote growth and change growth model through innovation. We should pursue innovation-driven development created by smart manufacturing, the “Internet Plus” model, digital economy and sharing economy, stay ahead of the curve and move faster to replace old growth drivers with new ones. We should eliminate impediments to economic development through reform, remove systemic and institutional barriers, and energize the market and the society, so as to achieve better quality, more resilient and sustainable growth. Despite different national conditions, we BRICS countries are at a similar development stage and share the same development goals. We should jointly explore ways to boost innovation-driven growth. This requires us to improve macroeconomic policy coordination, synergize our respective development strategies, leverage our strengths in terms of industrial structure and resources endowment, and create value chains and a big market for shared interests, so as to achieve interconnected development. Basing ourselves on our own practices of reform and innovation, we should blaze a new path which may also help other emerging market and developing countries to seize opportunities and meet challenges. Economic cooperation is the foundation of the BRICS mechanism. With this focus in mind, we should implement the Strategy for BRICS Economic Partnership, institutionalize and substantiate cooperation in various sectors, and continue to enhance the performance of BRICS cooperation. This year, we have made progress in the operation of the New Development Bank and Contingent Reserve Arrangement, and in e-commerce, trade and investment facilitation, trade in services, local currency bond issuance, scientific and technological innovation, industrial cooperation and public-private partnership, thus expanding and intensifying economic cooperation. We should continue to implement agreements and consensus already reached and better leverage the role of current mechanisms. We should also actively explore new ways and new areas of practical cooperation and strengthen our ties to ensure durable and fruitful BRICS cooperation. Secondly, we BRICS countries should shoulder our responsibilities to uphold global peace and stability. Peace and development underpin and reinforce each other. People around the world want peace and cooperation, not conflict or confrontation. Thanks to the joint efforts of all countries, global peace has reigned for more than half a century. However, incessant conflicts in some parts of the world and hotspot issues are posing challenges to world peace. The intertwined threats of terrorism and lack of cybersecurity, among others, have cast a dark shadow over the world. We BRICS countries are committed to upholding global peace and contributing to the international security order. This year, we have held the Meeting of High Representatives for Security Issues and the Meeting of Ministers of Foreign Affairs/International Relations. We have put in place the regular meeting mechanism for our permanent representatives to the multilateral institutions, and convened the Foreign Policy Planning Dialogue, the Meeting of Counter-Terrorism Working Group, the Meeting of Cybersecurity Working Group, and the Consultation on Peacekeeping Operations. These efforts aim to strengthen consultation and coordination on major international and regional issues and build synergy among the BRICS countries. We should uphold the purposes and principles of the UN Charter and basic norms governing international relations, firmly support multilateralism, work for greater democracy in international relations, and oppose hegemonism and power politics. We should foster the vision of common, comprehensive, cooperative and sustainable security, and take a constructive part in the process of resolving geopolitical hotspot issues and make our due contributions. I am convinced that as long as we take a holistic approach to fighting terrorism in all its forms, and address both its symptoms and root causes, terrorists will have no place to hide. When dialogue, consultation and negotiation are conducted to create conditions for achieving political settlement of issues such as Syria, Libya and the Palestine-Israel conflict, the flame of war can be put out, and displaced refugees will eventually return to their homes. Thirdly, we BRICS countries should contribute to enhancing global economic governance. Only openness delivers progress, and only inclusiveness sustains such progress. Due to sluggish global growth in recent years, such issues as uneven development, inadequate governance and deficit of fairness have become more acute, and protectionism and inward-looking mentality are on the rise. The global economy and global economic governance system, having entered a period of adjustment, face new challenges. We should not ignore problems arising from economic globalization or just complain about them. Rather, we should make joint efforts to find solutions. We should work together with other members of the international community to step up dialogue, coordination and cooperation and contribute to upholding and securing global economic stability and growth. To this end, we should promote the building of an open global economy, advance trade and investment liberalization and facilitation, jointly build new global value chains, and rebalance economic globalization. Doing so will bring benefits to people across the world. We five countries should open more to each other, expand converging interests in this process, take an inclusive approach and share opportunities, so as to create even brighter prospects for growing the economies of the five countries. The development of emerging market and developing countries is not intended to move the cheese of anyone but to make the pie of the global economy bigger. We should join hands to steer the course of economic globalization, offer more vision and public goods, make the governance model and rules more balanced and inclusive, and improve and reshape international division of labor and global value chains. We should work to reform the global economic governance system to make it commensurate with the reality of the global economic architecture. We should also improve governance rules for the new domains of deep sea, polar regions, outer space and cyberspace, so as to ensure that all countries share both rights and responsibilities. Fourthly, we should increase the influence of BRICS and build extensive partnerships. As a cooperation platform with global influence, BRICS cooperation is more than about our five countries. Rather, it carries the expectations of emerging market and developing countries and indeed the international community. Guided by the principle of open and inclusive cooperation, we BRICS countries place high premium on cooperation with other emerging market and developing countries and have established effective dialogue mechanisms with them. As a Chinese saying goes, “It is easy to break one arrow but hard to break ten arrows bundled together.” We should leverage our respective strengths and influence, promote South-South cooperation and North-South dialogue, pool the collective strengths of all countries and jointly defuse risks and meet challenges. We should expand the coverage of BRICS cooperation and deliver its benefits to more people. We should promote the “BRICS Plus” cooperation approach and build an open and diversified network of development partnerships to get more emerging market and developing countries involved in our concerted endeavors for cooperation and mutual benefits. During the Xiamen Summit, China will hold the Dialogue of Emerging Market and Developing Countries, where leaders of five countries from different regions will be invited to join the BRICS leaders in discussing global development cooperation and South-South cooperation as well as the implementation of the 2030 Agenda for Sustainable Development. Mutual understanding and friendship among peoples is crucial to enhancing BRICS cooperation and building extensive partnerships. We should fully leverage the role of people-to-people and cultural exchanges and encourage extensive public participation in BRICS cooperation. We should hold more events like cultural festivals, movie festivals and sports games that are popular among the people so that the BRICS story will be told everywhere and the exchanges and friendship of the peoples of our five countries will become an inexhaustible source of strength driving BRICS cooperation. The past decade has not only seen solid progress in the BRICS cooperation mechanism; it has also witnessed the unfolding of all-round reform and opening up in China and its rapid economic and social development. Over these ten years, China’s economic aggregate has grown by 239% and its total volume of exports and imports in goods risen by 73%. China has become the world’s second largest economy, the lives of its 1.3 billion-plus people have been significantly improved, and China has made increasingly greater contribution to both regional and global economic development. It is true that as China’s reform endeavors have entered a crucial stage where tough challenges must be met, some underlying difficulties and problems have surfaced, which must be addressed with resolve and determination. As a Chinese saying goes, “Effective medicine tastes bitter.” The medicine that we have prescribed for ourselves is to carry out all-round reform. Over the past five years, we have adopted over 1,500 reform measures covering all sectors, with breakthroughs made in multiple areas, and the reform is being pursued with greater intensity. The pace of economic structural adjustment and industrial upgrading has accelerated. China’s economy has maintained steady and sound performance, and new drivers sustaining development have grown in strength. In the first half of this year, China’s economy grew by 6.9%, the value added from services accounted for 54.1% of the GDP, and 7.35 million urban jobs were created. All these achievements have proven that deepening all-round reform is the right path that we should continue to follow. Going forward, China will continue to put into practice the vision of innovative, coordinated, green, open and inclusive development. We will adapt to and steer the new normal of economic development, push forward supply-side structural reform, accelerate the building of a new system for an open economy, drive economic development with innovation, and achieve sustainable development. China will stay firmly committed to peaceful development and make even greater contribution to global peace and development. Last May, China successfully hosted the Belt and Road Forum for International Cooperation, which was attended by 29 heads of state or government and over 1,600 representatives from more than 140 countries and 80-plus international organizations. This ushered in a new stage of translating the Belt and Road Initiative from vision to action and from planning to implementation. Forum participants discussed ways of promoting cooperation and development and reached broad consensus. Let me make this clear: The Belt and Road Initiative is not a tool to advance any geopolitical agenda, but a platform for practical cooperation. It is not a foreign aid scheme, but an initiative for interconnected development which calls for extensive consultation, joint contribution and shared benefits. I am convinced that the Belt and Road Initiative will serve as a new platform for all countries to achieve win-win cooperation and that it will create new opportunities for implementing the 2030 Agenda for Sustainable Development. The business community of the BRICS countries is the main force driving our economic development. Over the last decade, you have incorporated business development into BRICS cooperation, thus making important contribution to forging BRICS economic partnerships. The reason why we are holding the Business Forum on the eve of the Summit is to solicit your views and advice, so that we can work together to make the Xiamen Summit a success and enable BRICS cooperation to deliver. I hope you will leverage your strengths in terms of information, technology and funding to launch more practical and mutually beneficial cooperation projects that benefit our countries and peoples. What you do will help spur economic and social development and improve people’s lives. The Chinese government will continue to encourage Chinese companies to operate and take root in other countries, and likewise, we also warmly welcome foreign companies to invest and operate in China. We BRICS countries will enter a second decade of more vibrant growth. Let us work together with other members of the international community. Let our cooperation deliver more benefits to the peoples of our five countries. Let the benefits of global peace and development reach all the people in the world. In conclusion, I wish the Business Forum every success.